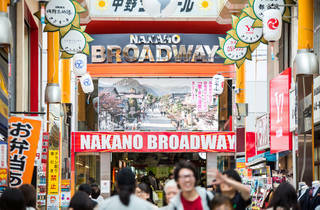 Walk down the cathedral-like shotengai (shopping arcade) in Nakano and you’ll reach the covered Broadway section. 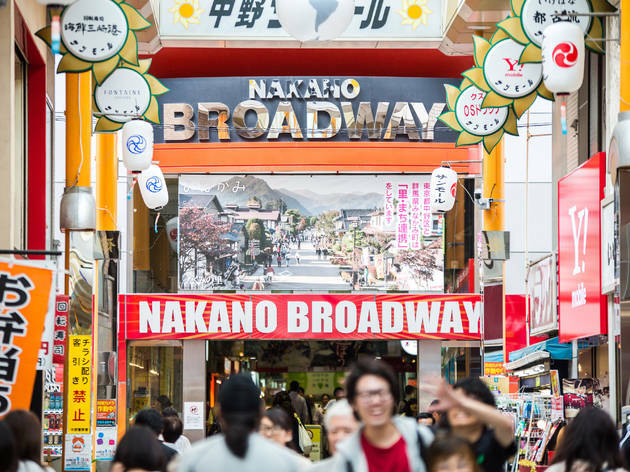 A popular haunt for Tokyo's otaku community, this five-floor complex contains numerous outlets of Mandarake, specialising in new and second-hand manga; branches of Fujiya Avic, the second-hand CD/DVD/anime store offering rarities and bootlegs; and a large number of shops selling collectable action figures. Most of the geek action is found on the second and third floors, though it's worth exploring the other corners of the building to see what you find.